This year, the event will run on Monday, September 3rd from 2:00 PM EDT (18:00 UTC) - 6:00 PM EDT (22:00 UTC). Please join us in Aayrl's "Labor Day Madness" Server at the time specified! The event will feature several rounds of traditional gameplay, a series of special Event Custom Levels (including some from the Marble Blast Developer Archives, not seen for years), and end with a full play-through of the classic Marble Blast Gold levels in a round of multiplayer Co-Op! We're going to have an explosive time this year! Posts in discussion: Labor Day Madness 2018! Man last year's Labor Day Madness event was crazy! This year's LDM event is going to be even crazier and funner! The next-generation roller, Marble It Up!, is launching on Nintendo Switch™ in September 2018! A spiritual successor to the Marble Madness and Marble Blast series, Marble It Up! is a high-speed puzzle platformer that harnesses the subtle thrill of racing the clock and embraces the pure joy of rolling. Players use power-ups to slow time, launch into the air, and glide to the finish line as quickly as possible while exploring gloriously colorful and brilliant worlds filled with secret collectibles, unlockable marbles and more! No. Marble It Up is a premium (paid) game made by a different team using a different game engine. Will it be available on PQ soon? can't wait for this game to come up. I really love the graphics in this game, looks amazing. PlatinumQuest is now celebrating its first anniversary! 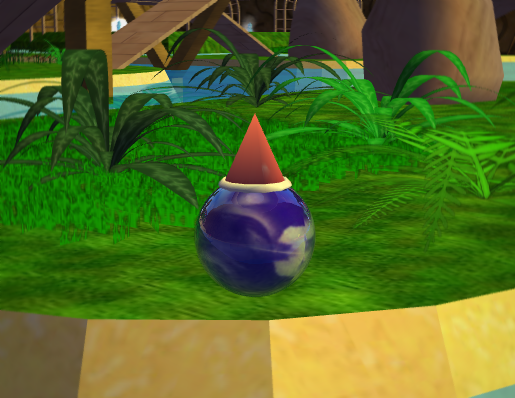 Your marble is invited to the party and it's required to have a PARTY HAT as part of the celebration. Grab the Patch 2.3.11 and celebrate with us for the next week PlatinumQuest's anniversary with a cool party hat! Lurking through some old files led me back to MBP, and subsequently I decided to take a visit back here a week ago to see that I've missed an entire year that PQ has apparently been out. Better late than never, I guess. Despite any criticisms that anyone might have, the Platinum Team should be very proud of the product they've crafted. I've been playing the mod for a few days now, and it doesn't take long to notice the amount of effort and creative thinking that went into this work. After years of not touching Marble Blast, I genuinely enjoyed playing this game (gave me sort of a nostalgia trip, actually, even if it's a new mod). Kudos to all involved. Oops! Missed it yesterday but good thing it's all week. I can't believe it's been a year already since PlatinumQuest released. I know I'm wasn't one of the ones waiting since 2010 or something but being in the community for nearly 3 years now. It was a great time and especially a group of peeps that's helped me get through the last year and a half where I haven't had much a good vibe from life/starting highschool. Hope to be online to play sometime and thanks for the fun. We hope you've been keeping warm, because it's time for the chills of Winterfest 2017! This event is running until the 9th of January, so get ready to freeze some marbles! Updated levels, including a completely redone version of Concavity Deux and new gem spawns for many more. New achievements for you to hunt! An assortment of new scenery! Finally, get excited for the Festival of Champions, which is now only a few weeks away! We're working to resolve that issue this week. The Frightfest and Winterfest achievements, as well as other in-game achievements, will be showing up on the website profile soon. Will the new achievements show up in your profile on the forums unlike the new Frightfest ones from this year?